Oregon Tech’s Catalyze Klamath Falls Challenge has been a huge success for student competitors and the Klamath community. Over the past three years, 15 student/alumni teams have competed for over $40,000 in prize money that was generously donated by Representative Whitsett, Senator Whitsett, Klamath County, City of Klamath Falls, KCEDA, Avista, the Gaucho Collective, the Herald & News, Klamath IDEA, Oregon BEST, Business Oregon, the Wendt Family Foundation, and Black Canyon Woodworks. 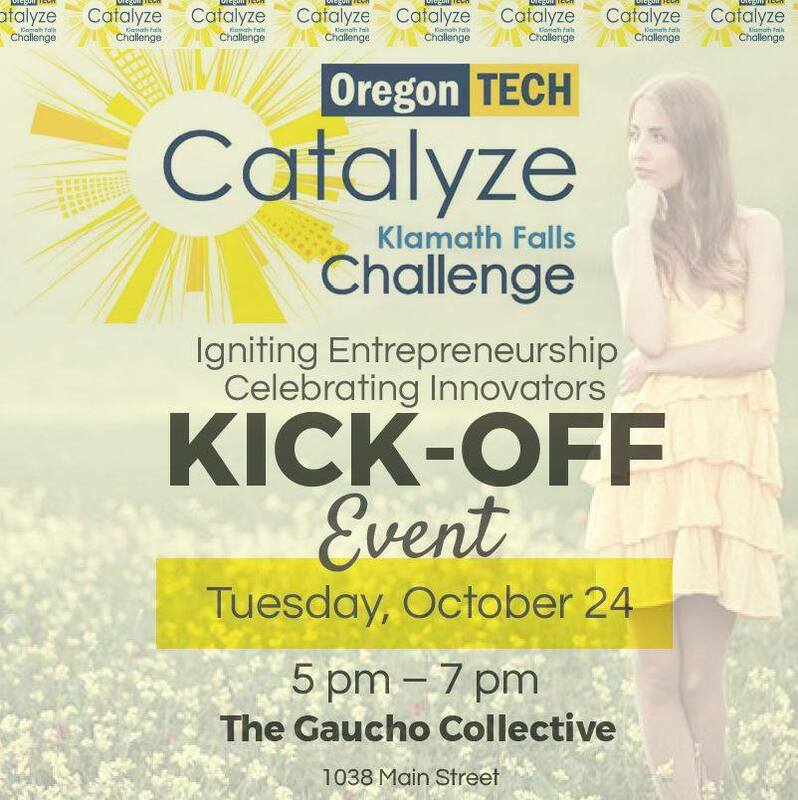 The 2018 Catalyze Klamath Falls Challenge Kick-off Meeting will be on October 24, 2017 from 5 – 7 pm at the Gaucho Collective on Main Street in Klamath Falls. Catalyze 2018 will be similar in format to last year, with teams competing for prizes, receiving coaching and technical assistance, as well as participating in a Shark Tech pitch session and development of a business plan to commercialize their invention. The winning teams will receive over $15,000 in cash and in-kind business supports, to enhance their ability to start and grow successful companies in the region. The Oregon Tech community is rich in talent and the Klamath community is rich in its desire and support to grow and sustain new invention-based companies in the region. For more information, contact Professor Hallie Neupert at hallie.neupert@oit.edu.